Home » » Mother-of-3 Electrocuted to Death in Ebonyi Community. Mother-of-3 Electrocuted to Death in Ebonyi Community. 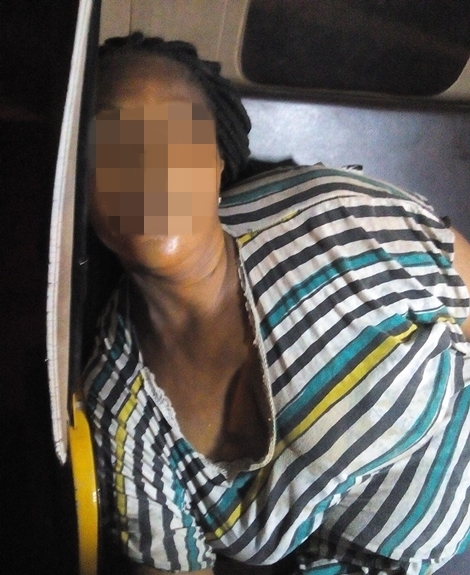 A 40-year-old woman, Mrs Joy Oluchi Osuchukwu, was electrocuted to death by the n*ked streetlight cables allegedly abandoned carelessly by some officials of Ebonyi State’s Ministry of Power. The tragedy struck in front of Udoka Hall, Water Works Road in Abakaliki. According to eyewitnesses, the late Oluchi was returning home from the neighbourhood where she had gone to fetch water for domestic use, and unknowingly stepped on the naked cables. Some shop owners who were at the venue of the incidence told Saturday Sun allegedly that the officials of the state’s Ministry of Power had worked on that particular streetlight cable earlier in the day and abandoned the naked cables. “That same day, at about 8:30pm this woman passed through that area not knowing that there were naked cables there and she was electrocuted instantly”, narrated one of them. Speaking to Saturday Sun, Chairman of Umunze Town Union, Ebonyi State chapter, Uchenna Joseph Obi, narrated that her kinswoman, Oluchi, had returned from the church before the tragedy struck. This was even as he blamed the officials of the state’s Ministry of Power for being responsible for her untimely death. At the moment, the incident is still concealed from the children but sister to Oluchi’s late husband, Miss Okoro Chidimman Godgift, while corroborating others insisted that the government officers should be held responsible for the fate of Oluchi.